These days, almost everyone has a Skype account. It has quickly become the default communication method for long-distance calls and video chats as it is free and easy to use. Once you’re in the habit of using Skype regularly, though, you start finding other neat things you can do with it. Like, for instance, recording calls. There are so many great reasons you may have to record a call with Skype. You may be taking language lessons via Skype 5 Top Free Ways To Learn How To Speak French (Or Any Other Language) 5 Top Free Ways To Learn How To Speak French (Or Any Other Language) So you're thinking of heading to Paris for a holiday but you're not sure how far you'll get with your limited French once you're done ordering your first croissant? Never fear, the Internet is here.... Read More and want to listen to them again later, you might be recording content for a podcast 10 Creative Uses For Audacity That You Probably Haven’t Thought Of 10 Creative Uses For Audacity That You Probably Haven’t Thought Of Many people use Audacity for podcasts or music mixing, but that's not all it's good for. 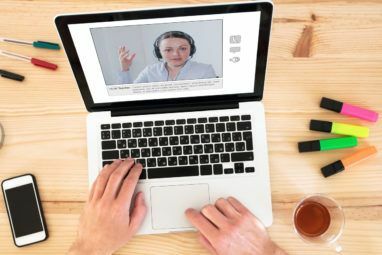 Read More , maybe you have a lot of business calls via Skype and want to keep a record to make sure you get your tasks done, or perhaps you need to keep records to share with other parties or for posterity. Whatever you need to record; here’s how you do it. Make sure your recordings are legal by checking your local laws on voice recordings. In many countries, it is illegal to record someone without permission. So, it is advisable to formally ask for permission to record at the beginning of the call – and to record that acknowledgement. For Windows users, Skype Auto Recorder is the best way to go. It’s free, open-source software, and it’s quite easy to use. 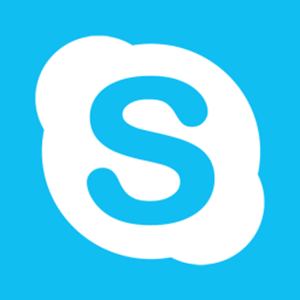 As the name says, it’s possible to use this program to automatically record your Skype calls. If you prefer to do things manually though, this is also possible. For organisation and privacy of your friends, it is also possible to automatically filter recordings into certain folders, plus you can ensure certain contacts are never recorded when they call. Calls are recorded in .MP3 format and are unlimited in length. Piezo, the charmingly simple audio recorder by Rogue Amoeba, does exactly what it says on the box. Piezo is extremely easy to use, with one obvious option to choose your preferred source and a big red button to record. It really couldn’t get much easier than this. The free program is limited in that recordings over 10 minutes long will have some noise added to the track. However, if you want to purchase a license it’s only $15 which stops Piezo adding this noise. When it comes to tactics to get you to pay, Rogue Amoeba are quite kind. Having 10 minutes of clean audio at a time on the free version is far better than what most places offer. Audio Hijack is Piezo’s more powerful sibling, also by Rogue Amoeba. It is far more powerful, a lot less simple and a little more expensive if you buy the paid version ($32). It’s worth considering if you actually could use something a little more sophisticated. Again, there is a free version that will add a bit of noise to the track if the recording is more than 10 minutes long. 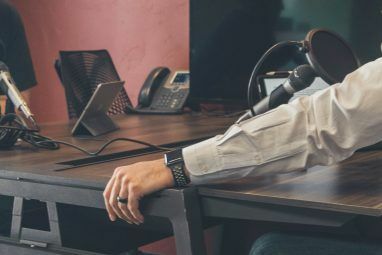 Audacity is a free cross-platform audio recording program which is much-loved by MakeUseOf staff. We’ve previously covered the basics of recording with Audacity Record audio files with Audacity Record audio files with Audacity Read More , tips for recording interviews with Audacity 3 Audacity Tips To Enhance Your Recorded Interviews 3 Audacity Tips To Enhance Your Recorded Interviews Read More , and producing home music recordings with Audacity A Beginner's Guide To Producing Home Music Recordings With Audacity A Beginner's Guide To Producing Home Music Recordings With Audacity For many musicians, the cost of paying a professional sound engineer is too high. It's better to learn about music production and recording techniques and use tools on your computer to record your own music. Read More . It’s very powerful software, yet not as simple as the options listed above. Total Recorder by High Criteria is an easy way to record Skype calls in Windows, and costs $17.95 for the standard edition. You can test it for free for as long as you like, but a bit of noise will be inserted every 60 seconds in the resulting recording. 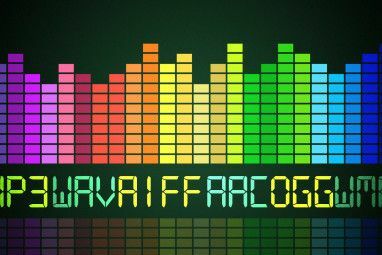 There are a number of great programs to record Skype audio for free, such as these powerful Audacity alternatives: RecordForAll, Wavosaur, Jokosher, Linux Multimedia Studio, Traverso DAW, and Ardour 6 Awesome Alternatives to Audacity for Recording & Editing Audio 6 Awesome Alternatives to Audacity for Recording & Editing Audio There's nothing wrong with Audacity, and we recommend giving it a try if you haven't yet. But alternatives do exist - here are some of the best ones we've found. Read More . They are not all as simple as the options we’ve covered above, but they may be of use to you if you would prefer more control. You can also check out the Virtual Audio Grabber Device (Windows and Mac), SoundFlower (Mac), VSound (Unix compatibles), and SoundTap Streaming Audio Recorder (Windows and Mac). Some of these are a little more involved, while others are paid programs with a trial version. I’m adding them to the list just in case you aren’t happy with the simpler options listed above. Don’t forget that these tools can also be used to record other programs used for voice or video calls, such as Google Hangouts. You’re not limited to recording audio from just Skype! What do you use to record voice or video calls? Why do you record calls? Explore more about: Record Audio, Skype. I already have my go-to application for recording Skype on Windows and Mac, which is by using the screen recording application provided by ShowMore ( http://showmore.com/ ). So, My suggestion is, is that possible for you to add sections on how to record Skype on iPhone? Idk how to do that. I also want to recommend Bandicam, another free screen recording program that is good for skpye recording. Thank you very much for the good information!! Very useful! My Screen Recorder is the easiest way to record skype video and audio calls. My screen recorder allows you to record Skype conversation and save it as WMA, MP3, or WAV files. Now transcribing could be a real game-changer. Google could kick arse here! Recently had success with recording multiple Skype callers on separate tracks to my computer. That way I can edit and process each caller independently. If anyone need help with this let me know. I would like to know how you were able to get each caller on a separate audio track! I would also like to know if this is possible using Google Hangouts instead of Skype. I have a project that involves special fx with audio tracking and so far I can only get myself on one track, and the rest of the callers all together on one "speaker" audio track. I would like to know how to get them all separated. Thanks! Please tell me about how to record multiple tracks. Also can this work on IPad ? Or can I talk with you on Skype ? Please, tell us how you did it. I can' t think of a tool that can do separate tracks for each person via Skype or hangouts. I am now getting into doing very important conf calls that are affecting a lot of lives in positive uplifting ways.